ENROLLMENT IN THIS CLASS IS CLOSED. PLEASE WATCH THE FREEWHEELS CALENDAR FOR FUTURE VOLUNTEER TRAINING OPPORTUNITIES. Wheels. They seem to be a mystery to a lot of us. Without getting into wheel building, we will look at how to address the common wheel problems found on many of the bikes we repair. 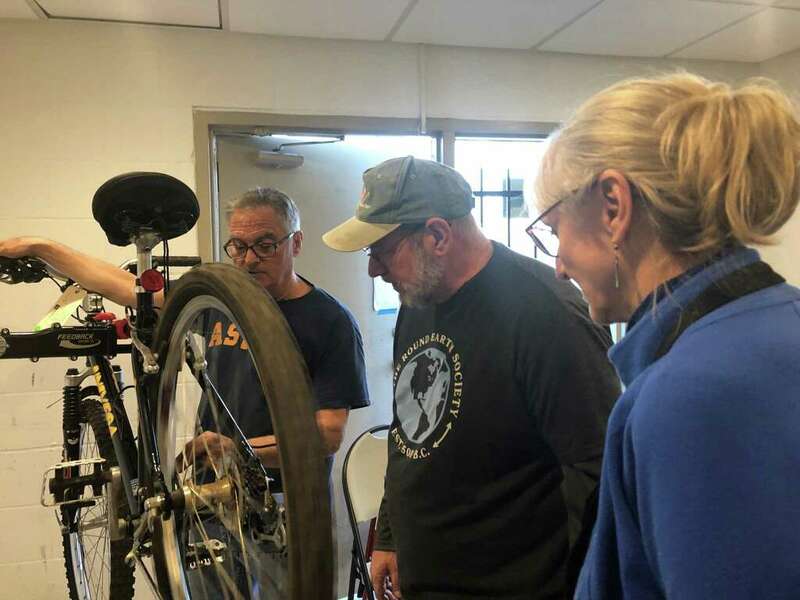 Professional bike mechanic Thom Cope will continue the Freewheels training series with a session on what you need to know about wheels and tires from inspection to repair and replacement. The class will start promptly at 5:15 p.m. and wrap up at 7:30 p.m. Enrollment is limited to the first four people to sign up.